Master weaver Erasto (Tito) Mendoza took my Weft Ikat workshop last March at the Museo Textil de Oaxaca. He just sent me this stunning picture of a tapete (rug) he wove using the ikat yarns he dyed in the workshop. 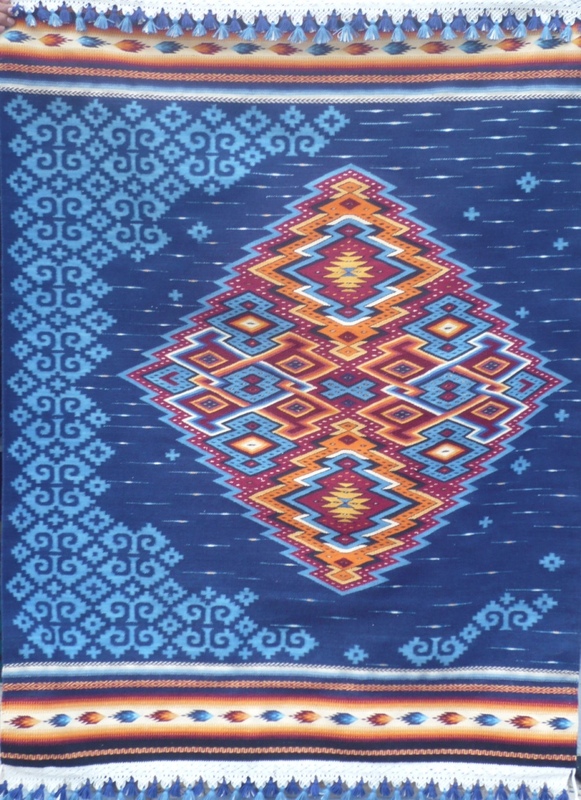 The blue and white background are the weft ikat yarns Tito dyed and incorporated with traditional Zapotec motifs. The following slideshow is of the indigo workshop held in San Pedro Cajonos over two days in March 2012. My recent trip to Oaxaca, Mexico was a huge success! I arrived late evening March 2nd at a lovely home where the family rents out rooms. I was greeted with much warmth and though they spoke little English and I even less Spanish we hit it off right away. On the 3rd I went to the Museo Textil de Oaxaca, where I would be giving workshops over the next two weeks, to meet with Eric Chavez. We wanted to run over a few things and make sure we had all the necessary materials. I had carried 120lbs of tools and materials with me in my luggage! But there were still a few last minute items I needed to pickup. Sunday was a lovely, lazy day for me. I was able to stroll around Oaxaca drinking in the sights and sounds, visit my favorite street food vendors and just relax. Monday arrived with sunshine and blue skies. This would begin five days of an indigo/ikat weft workshop involving five of the original group of ten weavers from 2010 and two new participants. Abigail, Marina, Arturo, Alfredo and Moisés had participated in the ikat warp workshop. Elda (a silk spinner) and Tito (a rug weaver) were the new participants. Adriana works for the museum, is Eufrosina’s daughter and was able to sit in on the first day of the workshop and pass the info onto to her folks. Each day we worked straight through from 10 to 3. The process of the weft ikat is more complicated than the warp ikat. The weavers had to think about their weft in a new way and when it came time to weave with their ikat yarns that would be different for them as well. They brought their own yarns (silk, wool and cotton) and dyed some of them in solid indigo blue. I also taught them Michel Garcia’s method of the lime/fructose indigo vat. They were very excited to learn this new way of making an indigo vat and the museum was thrilled as it is practically odorless! The museum supplied the indigo for the workshops and we made two 30-liter pots using the Fructose Crystalline and Calcium Hydrate (lime) and Knox Gelatin (to protect the wool and silk from the vat’s alkalinity) I brought from the States. Then we made one pot we called the Oaxacan pot – all the ingredients came from Oaxaca – the indigo, the Cal (lime), Grenetina (gelatin) and the mangoes. Eric was able to find Fructose Crystalline at the newly opened WalMart and we made another small pot using the new fructose. The workshop finished on Friday with the agreement that we would all meet at 11am on the Saturday the17th to see what they each wove with their ikat wefts. At the end of the workshop the museum presented the participants with a certificate for completing the workshop – I got one too for presenting the workshop! Saturday the 10th I did a Shibori/indigo workshop – 23 people attended. It was a blast! Everyone had 4 silk squares for four techniques. Once their squares were wrapped, folded and bound they were dyed in indigo. For many of the participants this was their first time working with indigo and they loved it! Ever since my first meeting with Eric over two years ago we have talked about the possibility of bringing the workshops to the villages. It is a hardship for the weavers & dyers to take the time out to travel the long distance to Oaxaca City for my workshops. Eric approached Moisés, who comes from the silk village of San Pedro Cajonos, to see if he could put something together in his village. In a very short time Moisés arranged lodging, meals and transport to his village high in the Sierra Norte. There I would be working with twenty people from four pueblos. They are part of a newly formed alliance of surrounding silk villages that is less than a year old. It is not usual for villages to work together. But in these difficult times they realized they need each other. They need to share information and when big orders come through there are many more hands now to handle the job. Three of us would make the trip – Adriana, representing the museum, Leslie my translator and me. On Sunday morning March 11th we drove up to San Pedro Cajonos. Our driver was the husband of Elda, a silk spinner from San Pedro, she had just taken the indigo/weft ikat workshop with me and their home was where we would stay while in San Pedro. I had visited San Pedro Cajonos to interview Moisés for my book “Stories of Hope – Oaxaca; Weavers of Southern Mexico” and I was excited to return. The workshop would take place over two days. The purpose was to teach the group Michel Garcia’s lime/fructose method. Our stay was a wonderful whirlwind of visits, meals, workshops, long walks, beautiful vistas and much laughter and joy. The villagers raise their own silk worms, both wild and cultivated. They spin the silk on support spindles from the softened cocoons. They will then either dye the yarn or weave with the undyed silk and dye the finished piece. In the workshop we dyed softened cocoons, yarn, rebozos (shawls) and even a huipil (blouse) or two. The first day we made two 30-liter pots using the lime/fructose method and one 8-liter pot using the juice from boiled mango skins and lime. The second morning we made two new 30-liter pots and dyed until we had used up all the indigo. At 2pm we had to leave for Oaxaca. I left the group making two fresh 30-liter pots on their own. I found out later that didn’t finish until after 7pm. At that time of night it is dark in the Sierra Norte and many participants still had an hour’s journey to get home. This told me the workshop was a success. On the way back down the mountain Elda’s husband took us on a detour. We hiked up a trail to what seemed the top of the world. The silence, the beauty – feeling like you could touch the sky made the three of us giddy. This was a lovely ending to an incredible trip. We arrived back in Oaxaca City by 6:30 that evening. Wednesday morning Leslie and I were ready for the next workshop. Again this was something new – Eric realized that not all weavers and dyers could take five days out of their schedule for a workshop – so we decided to hold two one-day workshops on how to make a simple indigo vat again using the lime/fructose method. Open to both the general public and native artisans we had eight participants for the Wednesday workshop and 14 for the Friday workshop. The workshop participants were a nice mix of artisans and hobbyists, ages and backgrounds. Several of the participants had taken the Shibori workshop and wanted to learn more about indigo. Two of the participants had been customers at The Yarn Tree when it was still in Brooklyn! At the Wednesday workshop we had a mother and her young son. It turned out that the mother is a dyer, the father a master weaver, and the son is also an accomplished weaver. The young man had found out about the workshop on the Internet and here they were. Leslie and I visited them at their weaving studio in Teotitlán on Saturday afternoon. The dad picked wild indigo for me from the nearby arroyo, we looked at their beautiful weavings and talked color. Got to love the Internet! On Thursday, between the two indigo workshops, I was able to have a play day at the Museum – we had 2 big indigo vats and three small ones going and several members of the museum staff came and dyed with me. Saturday I eagerly awaited the arrival of Marina, Abigail, Alfredo, and Tito. Moisés, Elda and Arturo would not be able to make our Saturday reunion. Tito wove a small tapete (rug) Abigail a belt, Marina a bag and Alfredo wove two ponchos, a scarf, and a king-sized bedspread! I asked them all if they would continue to use this new technique (weft ikat) and they all said yes and started to tell me what they would make, what they would do differently, what problems they encountered and how they would fix the problems! From this dialogue I knew the workshop was a success. 6:am Sunday morning came too quickly – my lovely hostess came to say goodbye and I was off to the airport. None of this could have happened without the generous support of the donors to Stories of Hope and I thank you! Not only did the museum give me a beautiful place to work, arrange the workshops and supply me with an outstanding translator, but they also honored me with my plane ticket and I thank them for all that they have done! Also, I need to say thank you to Leslie Larson for her enthusiasm, her patience and the great job she did being my translator! And I thank the artisans who took time from their looms to travel and learn from me! Part of the materials I brought with me were used in the workshops, more importantly I was able to give materials to the folks who participated in the 5-day workshop – they received Calcium Hydrate, Fructose Crystalline, Knox Gelatin and PH strips so they could make the lime/fructose vat at home. I was also able to add to the workshops tools I store at the museum. We are already planning my return in the fall with more workshops taking place in the villages surrounding Oaxaca City. I can only hope that you will continue to support Stories of Hope – it is thanks to you that this program continues to flourish – it is your generosity that is helping to make a difference in people’s lives! With much Hope & Joy! The Kickstarter campaign is 37% of the way there! $3770.00 has been raised. There is just a month left to reach the goal of $10,000.00. The Indigo Project needs your help! Do you love textiles, the color blue, a good story, sustainability, helping others? If the answer is yes – support The Indigo Project! I have once again been invited to teach at the Museo Textil de Oaxaca in the fall. I will be teaching three workshops: a weft Ikat to the original group of weavers from Sept 2010, a warp Ikat workshop to a new group of ten, and Michel Garcia’s method of making a reduction indigo vat. In addition I plan on traveling to one of the last villages in Mexico that produces indigo. 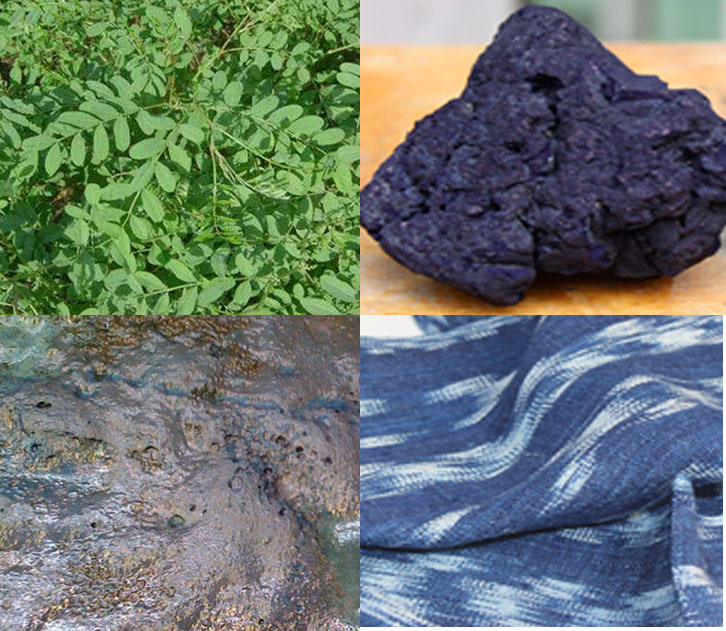 I expect to spend several weeks in the village interviewing the villagers and documenting the indigo production from the field to the indigo cake. This means I could be in Mexico for up to two months. For all of this to happen I need to raise the funds. There are two ways that you can donate – join the fun at Kickstarter and receive great rewards! Or if you’d like to make a tax-deductible donation or your company has matching grants then Fractured Atlas (the fiscal sponsor for Stories of Hope) is the way to go. What will this money be used for? Part of it will be used to produce a book on the indigo growers. This book will document the process from the fields to the indigo cake ready for market. Part of it will go to having both Stories of Hope –Oaxaca (http://www.blurb.com/bookstore/detail/2132961)and Stories of Hope –The Indigo Project translated into Spanish. Part of it will go to transportation, room and board for both myself and a translator. Part of it will go to pay the translator. Part of it will go to updating or adding equipment. Why is this important? This is one of the last villages in Mexico to produce indigo and I feel very strongly that it is important to archive the process and tell the stories of the villagers. Indigo production has sustained them for generations, but this could all become lost as the younger generations leave the village to work in the US or Mexico City. It can become lost because this is a subsistence lifestyle and one bad crop can ruin the village financially. Last year there was too much rain and they were only able to produce a small amount of indigo. It takes only one generation for knowledge to become forever lost. Twice in the past year I traveled to return to cultures craft techniques that had become lost to them. Stories of Hope (www.madderlane.com) is making a difference in people’s lives and that is happening because of the generosity and support of people like you! 2010 was a very good year for Stories of Hope! The workshop in Mexico was successful – the weavers are now utilizing the techniques taught in the workshop to create fresh new products for the marketplace that are selling well. Stories of Hope – Oaxaca, Weavers of Southern Mexico was just published. And I have been invited back to the Museo Textil de Oaxaca to teach in the fall. In Jan. 2011, Stories of Hope was able to give out a scholarship for Creativity & Experimentation and an interest free micro-loan, I look forward to repeating this in 2012. I have just started a new Kickstarter campaign, Stories of Hope – The Indigo Project and hope that I can count on your support again this year. José’s woven piece is finished! I am so proud of José and his beautiful work! 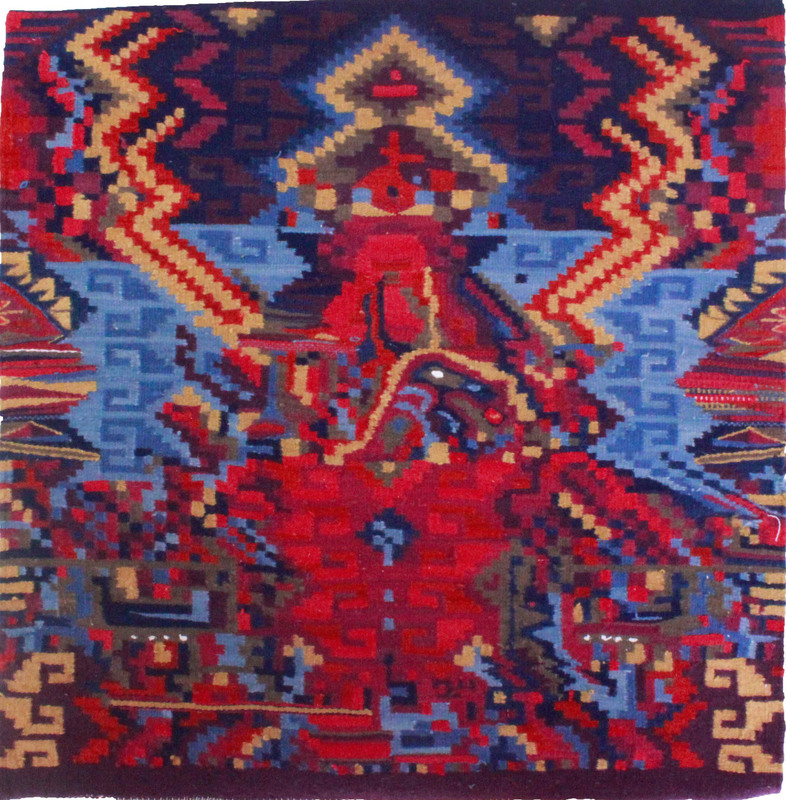 Author Linda LaBellePosted on May 10, 2011 May 19, 2017 Categories MexicoTags Handwoven, Mexico, Natural Dyes, OaxacaLeave a comment on José’s woven piece is finished!